Lagace, Naithan and Niigaanwewidam James Sinclair. "The White Paper, 1969". The Canadian Encyclopedia, 21 March 2018, Historica Canada. https://www.thecanadianencyclopedia.ca/en/article/the-white-paper-1969. Accessed 23 April 2019. The 1969 White Paper (formally known as the “Statement of the Government of Canada on Indian Policy, 1969”) was a Canadian government policy paper that attempted to abolish previous legal documents pertaining to Indigenous peoples in Canada, including the Indian Act and treaties, and assimilate all “Indian” peoples under the Canadian state. 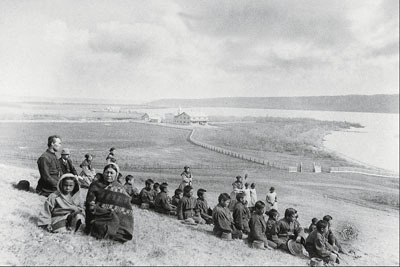 Proposed by Minister of Indian Affairs and Northern Development Jean Chrétien and Prime Minister Pierre Trudeau to widespread criticism, the policy proposed to: eliminate “Indian status” (see Law of Aboriginal People); incorporate First Nations under provincial government responsibilities; and impose land decisions, notions of private property and economic agendas on Aboriginal communities. The backlash to the 1969 White Paper was monumental, leading not only to its withdrawal in 1970, but to a wave of activism, academic work and court decisions over the next five decades. The 1969 White Paper (formally known as the “Statement of the Government of Canada on Indian Policy, 1969”) was a Canadian policy paper presented to Parliament by Minister of Indian Affairs and Northern Development Jean Chrétien and Prime Minister Pierre Trudeau. The policy was intended to abolish previous legal documents pertaining to Indigenous peoples in Canada (specifically, the Indian Act), eliminate treaties and assimilate all “Indians” fully into the Canadian state. By the 1960s, the impact of European settlement had disastrous effects on Aboriginal populations throughout Canada. Many communities had been reduced by as much as 90 per cent due to rampant disease, interruptions to trade and food routes, war and industrialization. These, combined with a litany of oppressive and draconian policies such as the 1876 Indian Act and residential schools, had driven Aboriginal peoples into poverty, strife and alarming death rates. Meanwhile, the Government of Canada had promised, via treaties and other legal documents, to recognize First Nations’ sovereignty and land title and claims. Alongside a burgeoning civil rights movement and the tremendous impact made by Aboriginal soldiers in the First and Second World Wars, Canadians began to openly question the longstanding and institutional mistreatment and discrimination toward Aboriginal peoples. In 1963, anthropologist Harry B. Hawthorn was commissioned by the federal government to investigate some of the social conditions surrounding Indigenous peoples in Canada. Hawthorn’s report, A Survey of the Contemporary Indians of Canada: Economic, Political, Educational Needs and Policies, labelled Indigenous peoples “citizens minus” – the most marginalized and disadvantaged population in Canada. In response, in 1968, the Trudeau government began a series of consultations with Aboriginal leaders on a new direction. 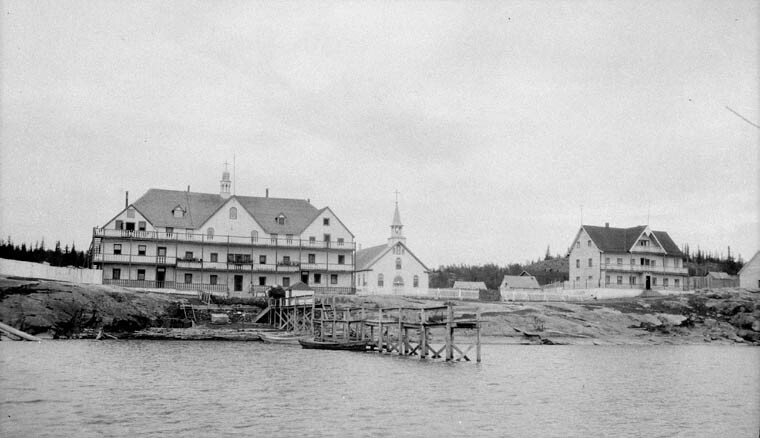 At these meetings, Aboriginal leaders expressed concerns to the government that treaty and special rights had never been recognized nor delivered, historical grievances had emerged or had never been addressed (especially in the case of land claims) and Indigenous peoples were neglected in Canadian policy making. Presenting the White Paper in 1969, Chrétien and Trudeau proposed to deal with Indigenous issues definitively. The paper saw policies that pertained to First Nations were exclusionary and discriminatory, as they did not apply to Canadians in general. Trudeau and Chrétien’s White Paper proposed to eliminate “Indian” as a distinct legal status – therefore making First Nations “equal” to other Canadians. They also proposed to dismantle the Department of Indian Affairs within five years, repeal the Indian Act, and eradicate all treaties between First Nations and Canada. The White Paper would convert reserve lands to private property owned by the band or its members, transfer all responsibility for services to provincial governments, appoint a commissioner to settle all land claims and provide funds for economic development. At the same time, Chrétien and Trudeau saw the White Paper as a way of eliminating the rising cost of administering Indian Affairs and treaty responsibilities. The backlash to the 1969 White Paper was monumental. Major opposition emerged from several organizations, including the National Indian Brotherhood and its provincial chapters. Many felt the document overlooked concerns raised during consultations and appeared to be a final attempt to assimilate Indigenous peoples into the Canadian population. Leaders felt that instead of dealing with First Nations fairly and appropriately, the federal government was absolving itself of historical promises and responsibilities. Instead, provinces – with whom First Nations had no relationship – would be forced to deal with longstanding issues. In response, Trudeau withdrew the White Paper in 1970 and angrily stated: “We’ll keep them in the ghetto as long as they want.” Aboriginal activists and their allies continued to work on issues arising from this time period. In 1973, the Supreme Court decided on the case Calder v. British Columbia, agreeing that Aboriginal title to land existed before European colonization of North America. 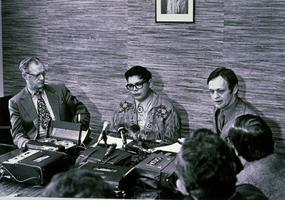 The 1982 Constitution Act included section 35, which recognized and affirmed Aboriginal and treaty rights within Canada. Many, however, continue to claim that the spirit and intent of the 1969 White Paper and the abdication of responsibilities to Aboriginal peoples by Canada continues to be a long-term goal of successive federal governments. This was most evident during the Meech Lake Accord constitutional negotiations, which excluded Aboriginal peoples and resulted in Manitoba Member of the Legislative Assembly Elijah Harper’s “no” vote, which helped scuttle the entire agreement. The legacies of the 1969 White Paper continue to be felt today in government policy meetings, and Canadian and Indigenous activist groups, academic circles and grassroots communities. See also Law of Aboriginal People; Aboriginal Rights. Statement of the Government of Canada on Indian Policy (The White Paper, 1969), Aboriginal Affairs and Northern Development Canada Read more about the creation of the White Paper on the AANDC website.